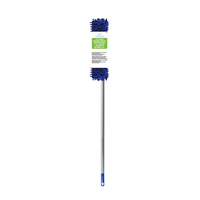 CORN BRISTLE WHISK BROOM Made from natural corn bristles Metal band & hang-up hook 10779 CORN WHISK BROOM SIZE:10"
ROUGH SURFACE BROOM Jumbo outdoor broom 54" Comfort Grip handle Blue stiff fibers for wet/rough surfaces 11202A 12 IN. 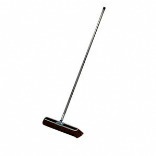 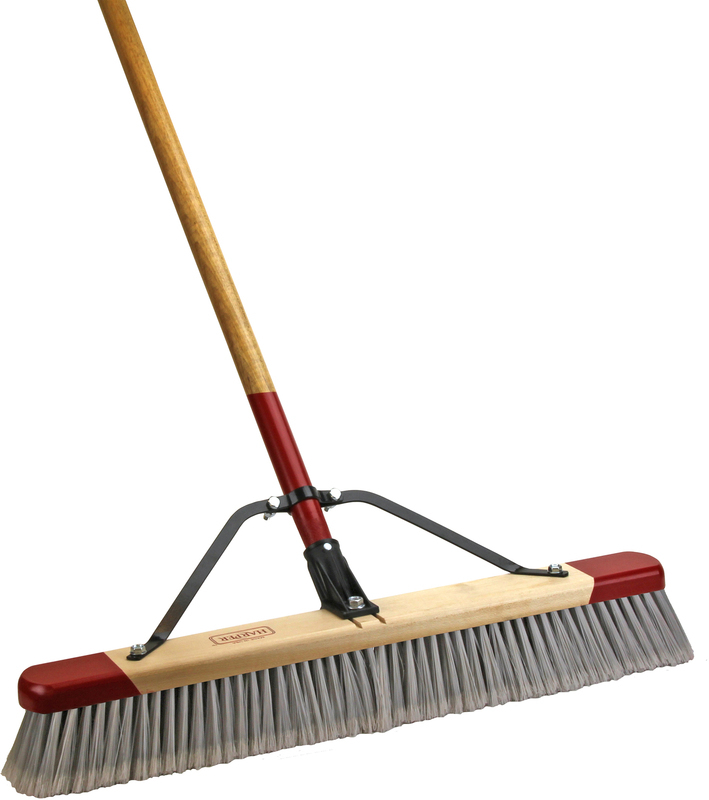 ROUGH SURFACE BROOM SIZE:12"
THREADED METAL HANDLE Black metal handle Red cap & red durable nylon tip 11754H-7 54 IN. 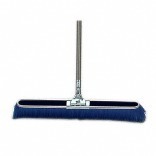 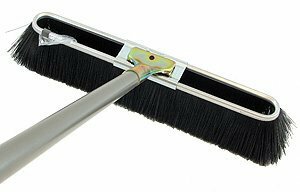 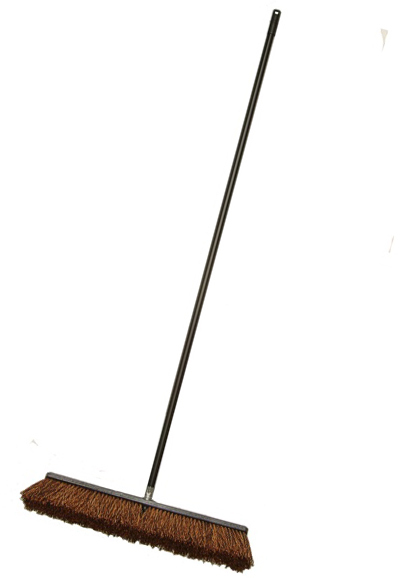 THREADED HANDLE SIZE:54"
FINE BRUSKE BROOMS Fine blue brush with flagged bristles Withstands water, grease & oil Bristles resist sagging & matting 5 year guarantee on all metal parts 2132CS 17 IN. 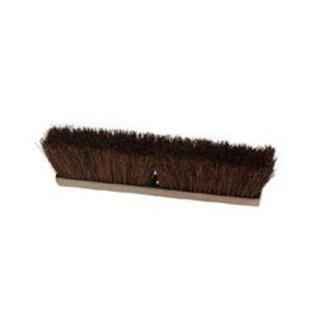 FINE BRUSKE BROOM SIZE:17"
MEDIUM BRUSKE BROOMS Black medium broom for dry or wet areas For use in shop, factory, garage or patio Bristles resist sagging & matting 5 year guarantee on all metal parts 2152CS 17 IN. 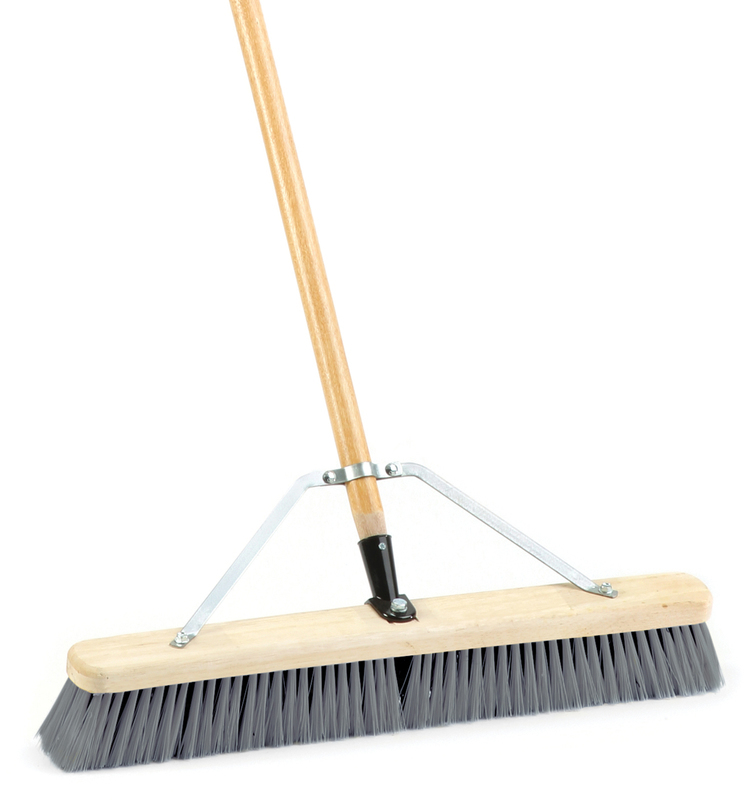 MEDIUM BRUSKE BROOM SIZE:17"
SMOOTH SWEEP PUSHBROOM Sweeps fine debris such as: dust, sand, wood - shavings & light dirt Fine, split-tip synthetic bristles - 3" trim Use on smooth and semi-smooth surfaces For indoor use under dry conditions For body & woodworking shop, hospital & office Assembled with 1-1/8" x 60" bolt-on connector - handle and steel handle brace 2218A 18 IN. 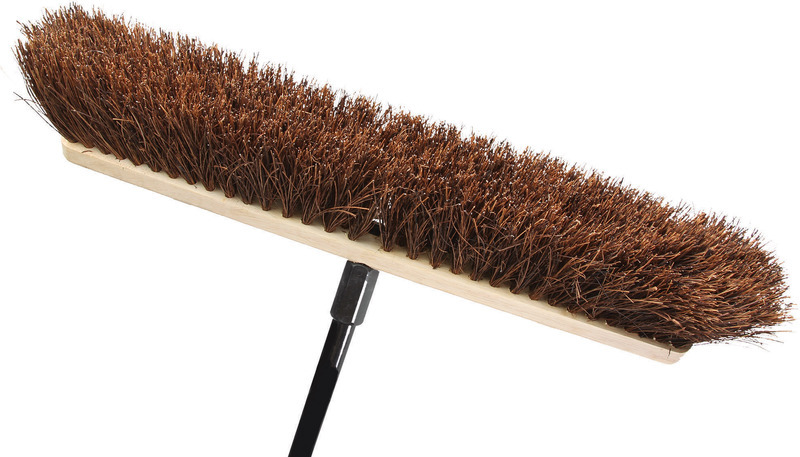 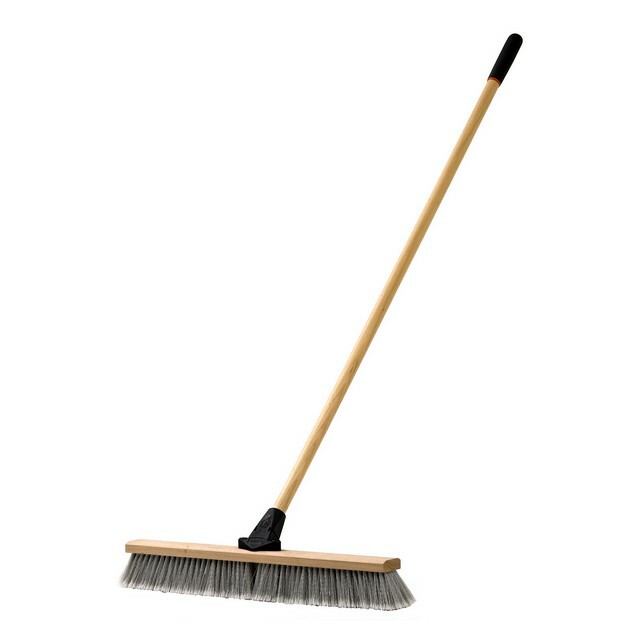 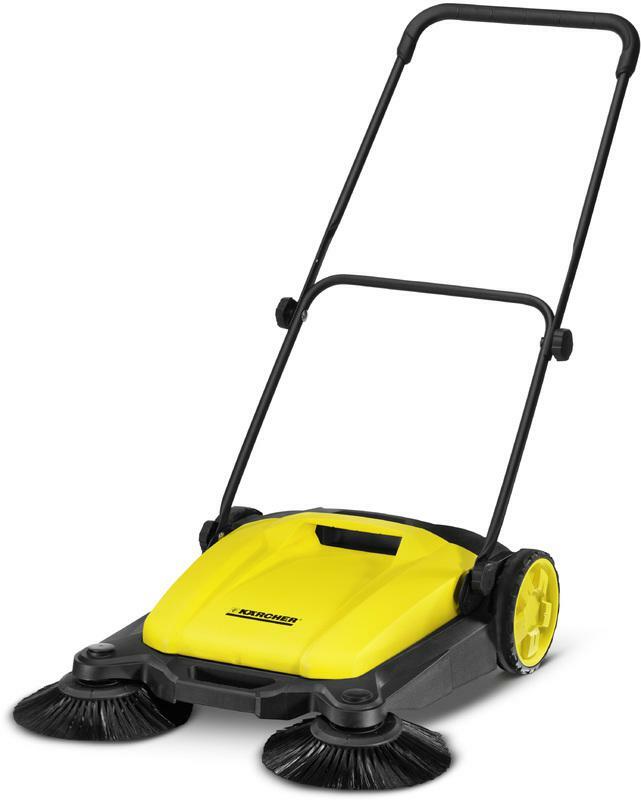 SMOOTH PUSH BROOM SIZE:18" Width TRIM:3"
COARSE BRUSKE BROOMS Brown coarse broom for extra rough floors For heavy refuse, snow or scrubbing Industrial quality for home or factory use Bristles resist sagging & matting 5 year guarantee on all metal parts 2174CS 23 IN. 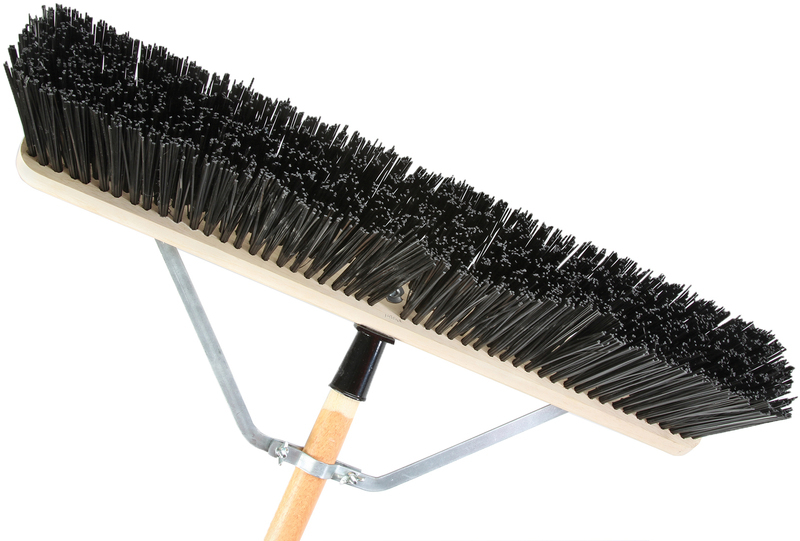 COARSE BRUSKE BROOM SIZE:23"
MEDIUM BRUSKE BROOMS Black medium broom for dry or wet areas For use in shop, factory, garage or patio Bristles resist sagging & matting 5 year guarantee on all metal parts 2154CS 23 IN. 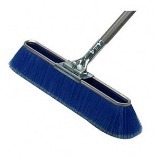 MEDIUM BRUSKE BROOM SIZE:23"
FINE BRUSKE BROOMS Fine blue brush with flagged bristles Withstands water, grease & oil Bristles resist sagging & matting 5 year guarantee on all metal parts 2134CS 23 IN. 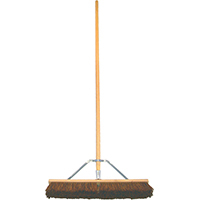 FINE BRUSKE BROOM SIZE:23"
Reduced lint. 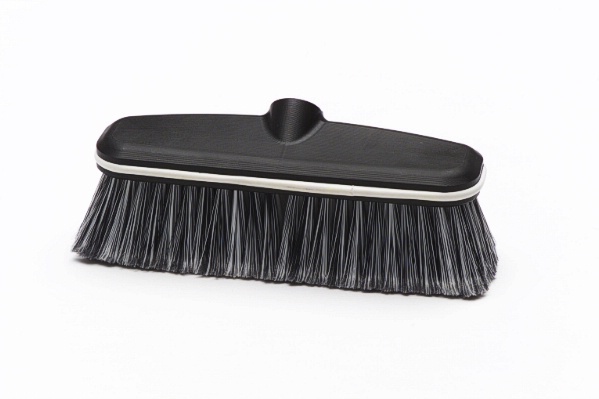 Requires no break in. 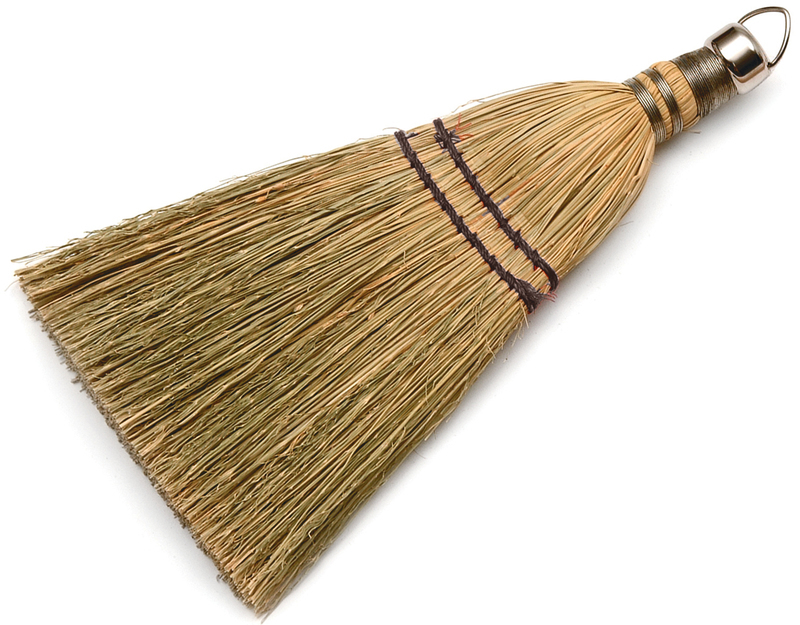 Easier to wring out. 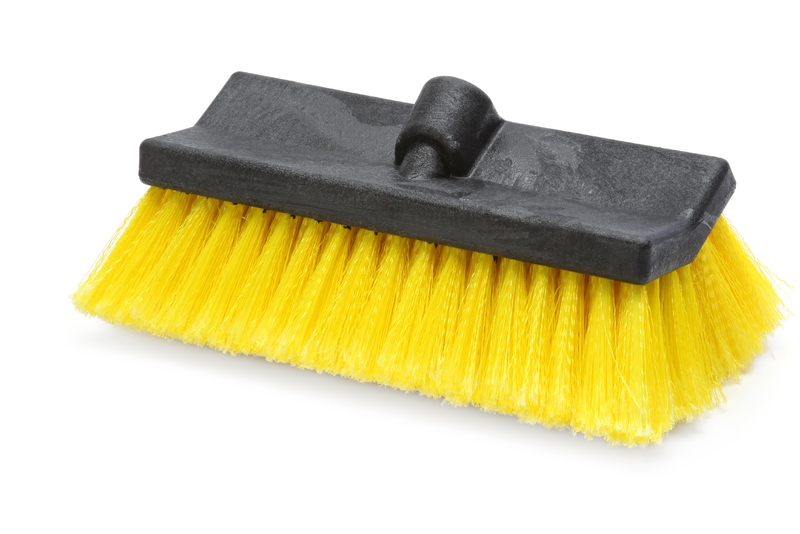 Less material in waste stream. 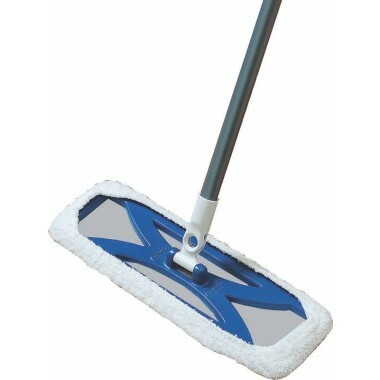 Greater absorption than cotton. 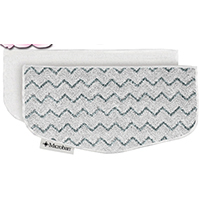 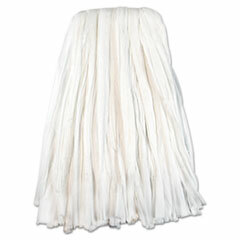 Head Type: Wet Mop; Application: Floors; Mop Head Style: Cut End; Mop Head Size: 24 oz.